Tim e Timer TWIST. 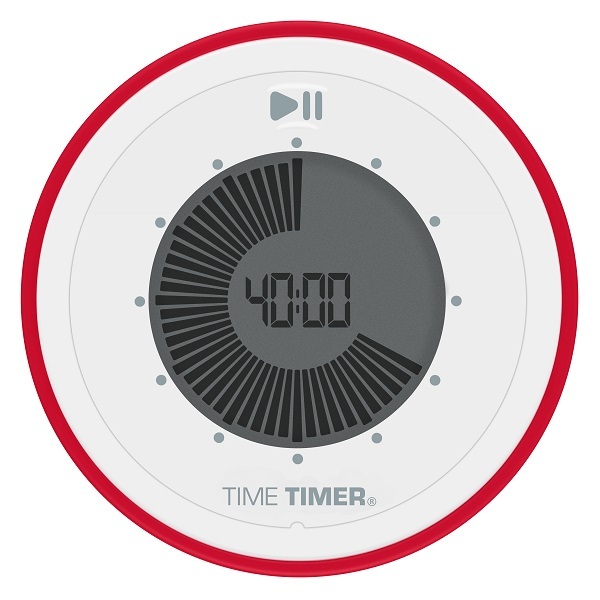 A unique 90-minute digital Timer that visually shows time counting down. This Time Timer has an audible alarm and a magne tic back. The Time Timer works on a 1-AAA battery, which is not included. You can easily twist the Time Timer to set it from 0-90 minutes. The visual disk runs back till the time is up, because of this the children know exactly when they have to stop what they’re doing at the moment. So, there will never be any discussion about the length of activity. For parents, this Time Timer is also very convenient and user-friendly. The Time Timer works without ticking. Therefore, this Time Timer doesn’t give you any irritation. 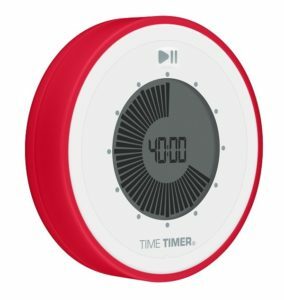 this Time Timer can be carried around everywhere. And the good thing about it is the magnetic back. Silent operation – no ticking.